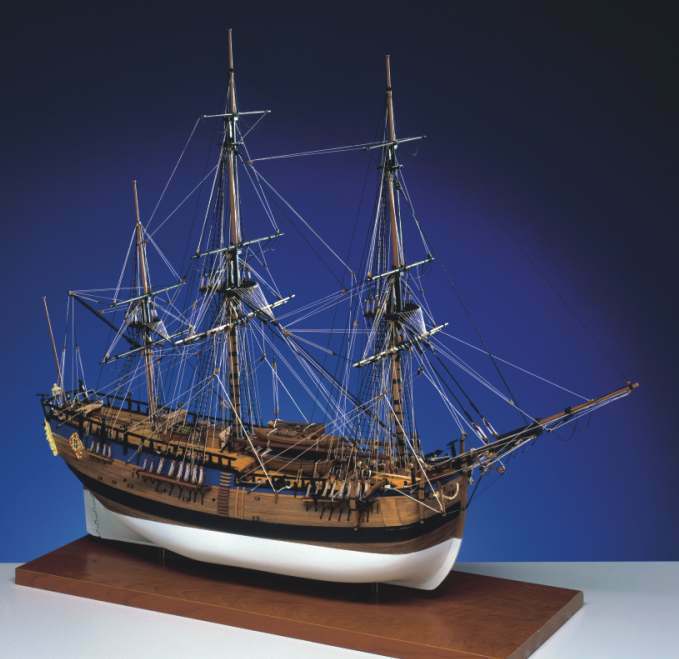 Jotika Heritage Series 9006 H.M. Bark Endeavour 1/64 scale wood ship kit! Kit includes: CNC cut ply and walnut components throughout; double planking in lime and walnut; etched brass and turned brass fittings; cast decoration; rigging in black and natural; a set of four plank on frame ships boats; full set of detailed construction plans and instructions. The Endeavour, made famous by Captain James Cook’s first historical voyage in her in 1768-71, was originally the Collier Earl of Pembroke. She was chosen for Cook’s voyage because of her strong construction. She was purchased by the Royal Navy at Whitby and then converted to an exploration ship at Deptford.